The Medical University of Southern Africa (Medunsa) will become a stand-alone institution once again, as it will no longer be incorporated into the University of Limpopo. 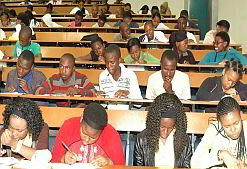 Medunsa became a campus of the University of Limpopo after a merger with that institution in 2005. The merger has been partly criticised because of a distance of more than 300km between Medunsa, which is located in Gauteng, and the campuses in Limpopo province. 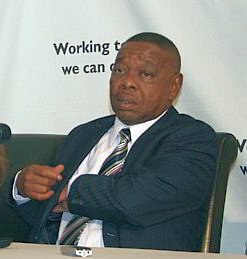 Blade Nzimande, minister of higher education and training, announced in parliament on 26 May 2011 that the government will reverse the merger. The de-merger will be done to ensure that Medunsa remains a single-purpose medical institution. It was Minister of Health Dr Aaron Motsoaledi who first suggested that Medunsa becomes a separate medical institution. “I have agreed with Minister Motsoaledi that we must undo this merger and re-establish Medunsa as a stand-alone medical university …” Nzimande said. The ministers set up a two-person task team in November 2010 to investigate the effect of the merger on training doctors and other health professionals in the country. The task team has completed its report and the government has “accepted its recommendation”, said Nzimande. It’s not clear when the merger will be reversed. Nzimande said another task team will be set up to determine the transition to a stand-alone Medunsa. “We urge all in both campuses to continue as normal and fully cooperate with the de-merger process,” Nzimande added. A new medical school will be built in Polokwane, Limpopo, to fill the void created by the Medunsa break-away. The government said the upcoming de-merger and the creation of a new medical school are part of its “long-term vision of producing increased numbers of quality healthcare professionals at our universities, taking into account the acute shortage that the country faces”. The Young Communist League (YCL) became one of the first political formations in the country to welcome the reinstatement of an independent Medunsa. “This has been one of the major examples of how some of the mergers were a failure, and has disadvantaged many of our students,” YCL spokesperson Mafika Mndebele said in a statement. Efforts to build universities in Mpumalanga and the Northern Cape, the country’s only provinces without the tertiary institutions, look set to gain momentum in the upcoming months. Nzimande will receive reports from task teams that he established to “explore appropriate models” for the new universities in July. The government has already invested R300-million (US$43-million) into the creation of universities in the two provinces. “We call on the task teams instituted for this purpose (building universities in Mpumalanga and the Northern Cape) to hasten this process and ensure that the universities are built as speedily as possible,” said the YCL. A number of universities are also busy improving infrastructure at their campuses. The Department of Higher Education allocated R3.2-billion ($461-million) for infrastructure improvements over the next year, and other universities are funding their own expansion projects. “Most universities have made excellent progress so far with the infrastructure projects …” said Nzimande. About R803-million ($115.7-million) worth of investment in infrastructure has gone into the coffers of higher learning institutions formerly reserved for black South Africans, whose development was never prioritised under the apartheid government. “We intend to increase investment in infrastructure in historically disadvantaged institutions over the next three years,” Nzimande said.